are available in 4” x 6”, 6” x 8” and 8” x 10” sizes. x 6”, 6” x 8”, 8” x 10” and 2” x 8” sizes. All are available in black and bronze finishes. stands are available in some sizes. dedication plaques. They are available in royal sapphire, midnight sky and stormy grey. 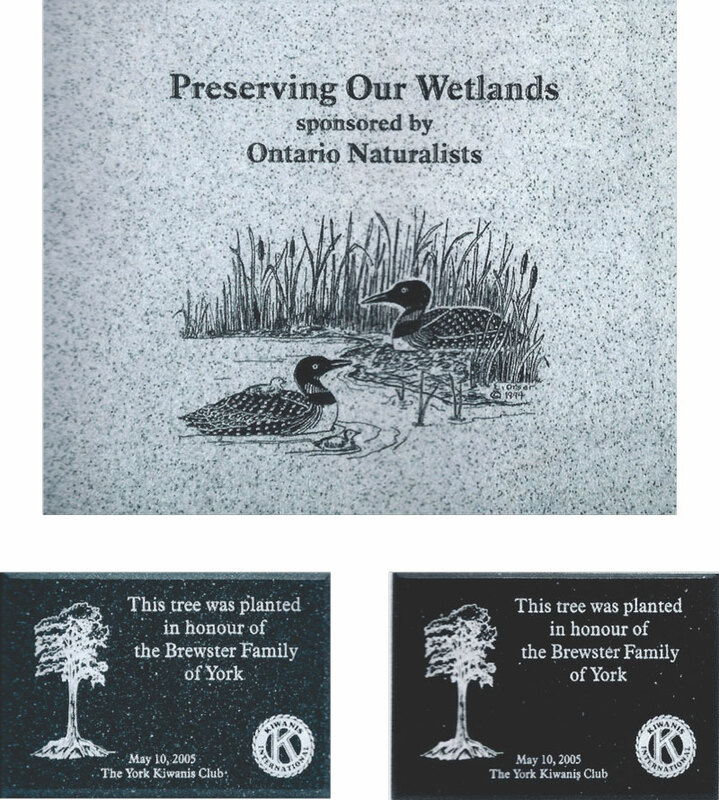 *All plaques available in 4” x 6”, 5” x 7”, 7” x 9”, 8” x 10” and 9” x 12”. holes available on request. Beveled edge optional. An economical memorial. memorial lasered directly into the wood or have a custom plate made.